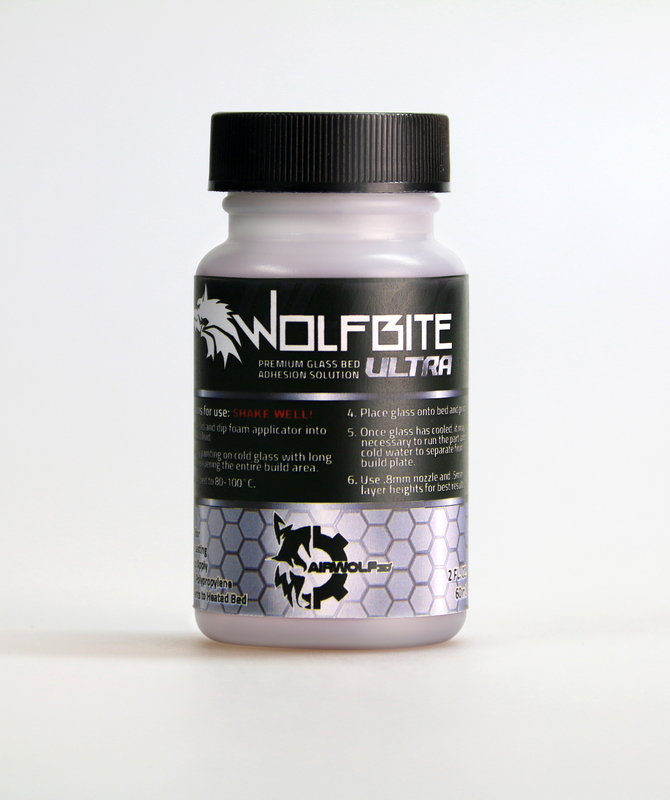 Wolfbite ULTRA™ bonds polypropylene plastic parts to a build plate to allow printing without lifting and to enable smooth release of objects after printing. 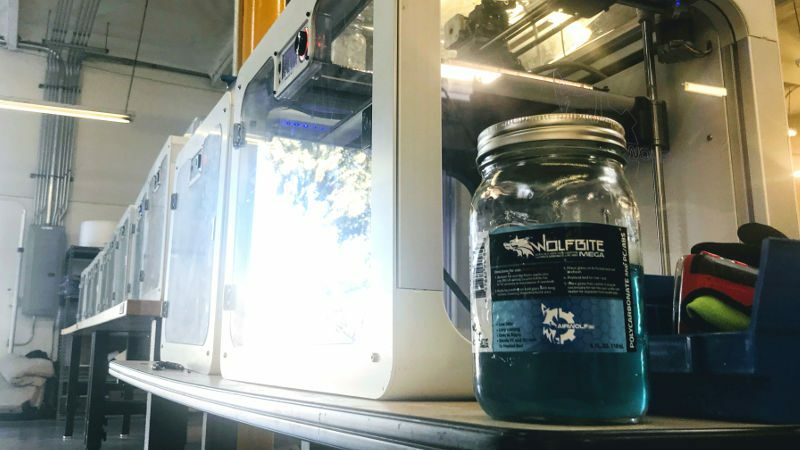 This proprietary solution works well with heated beds on all types and brands of 3D printers utilizing glass printing surfaces. 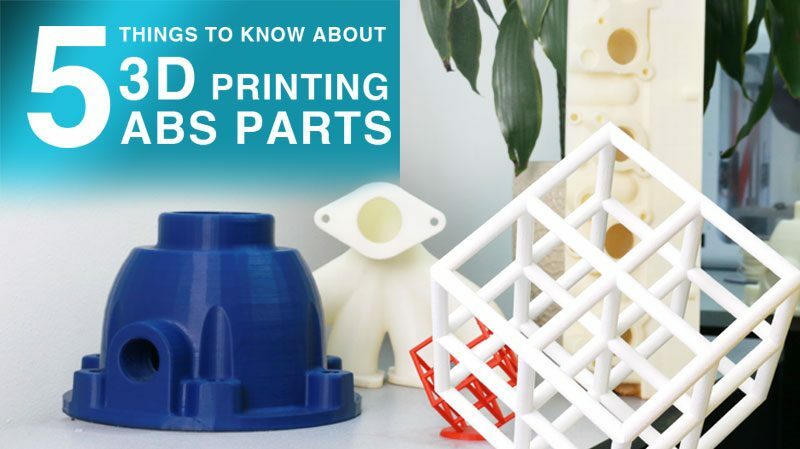 While used in many products, polypropylene is notorious in the 3D printing community for being difficult to work with because of bed adhesion problems. 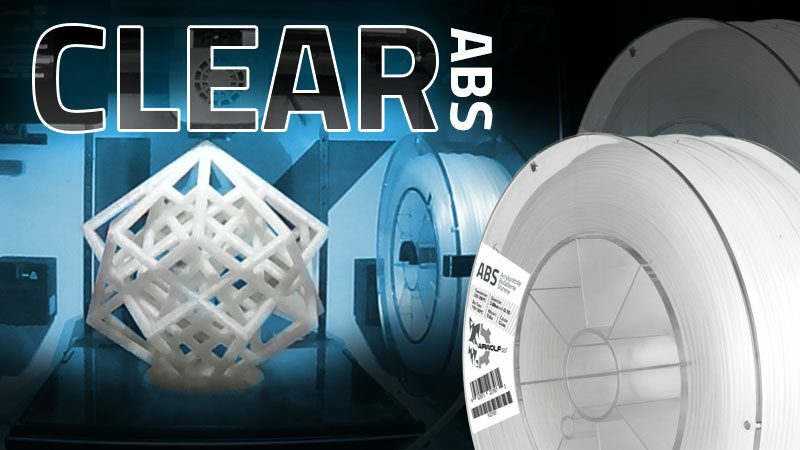 Polypropylene parts have a high tendency to warp or even completely fail to stick to the print bed. 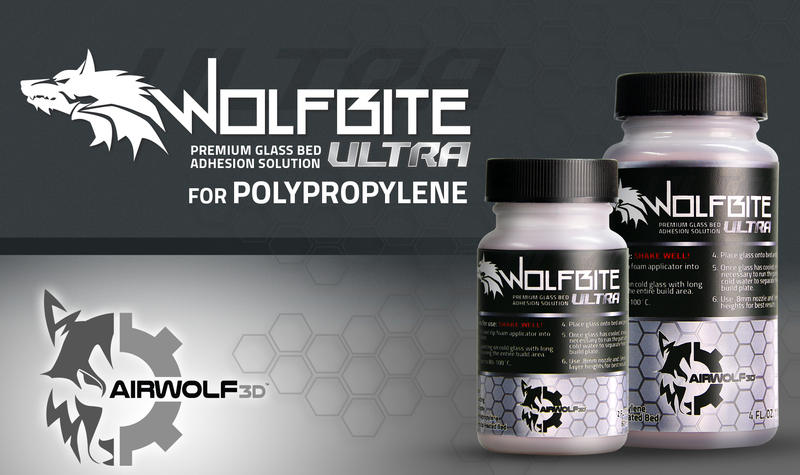 As the manufacturer of the only desktop 3D printer in its price class to effectively print polypropylene, Airwolf 3D created Wolfbite ULTRA™ to meet the demands of customers who require the ability to print in the high-performance industrial material. 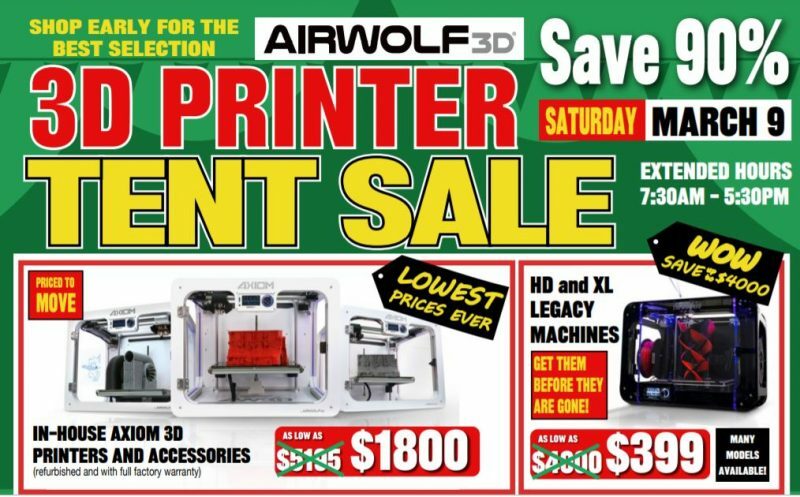 Airwolf 3D products empower users to successfully 3D print in polypropylene. 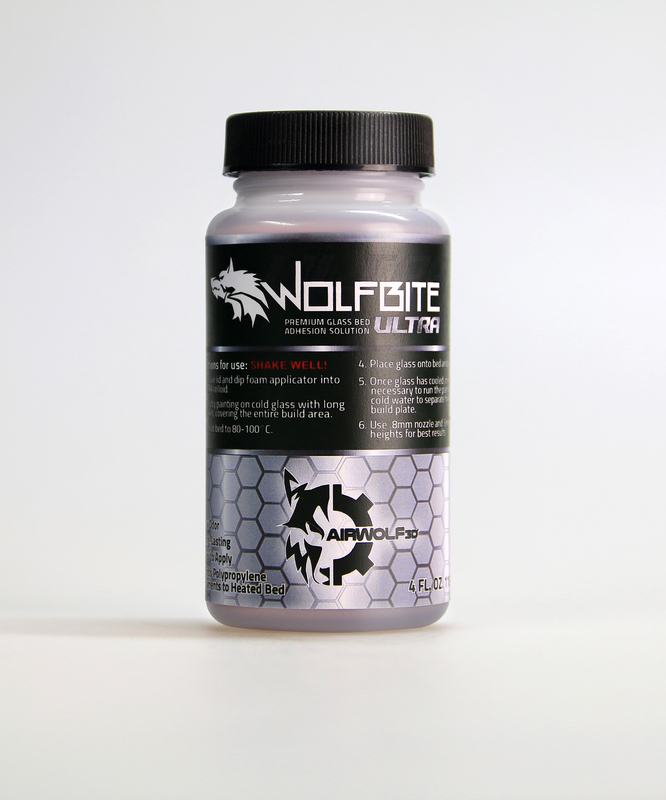 As the first product of its kind, proprietary Wolfbite ULTRA™ empowers professionals to directly 3D print their parts in polypropylene. 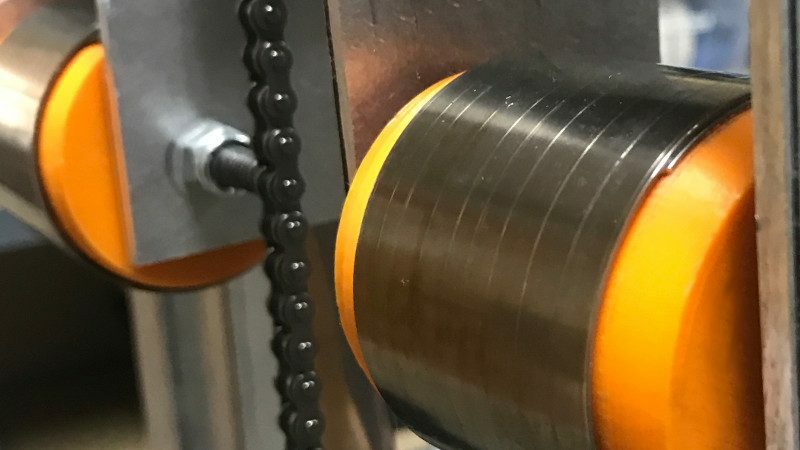 For the first time, a user can rapid prototype a part from the same material used for the final product and have the ability to test its exact properties before moving into final mass production. Remove lid and dip foam applicator into ULTRA colloid. Apply by painting on glass with long strokes, covering the entire build area. 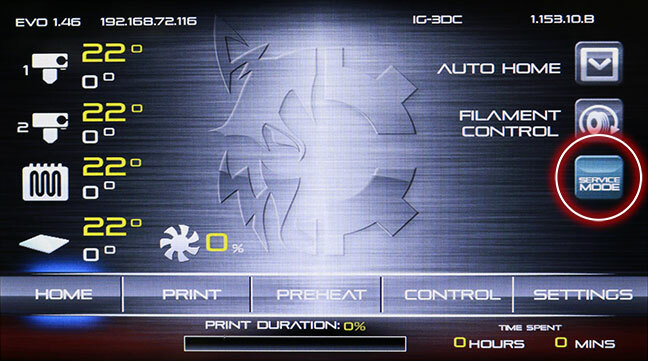 Allow solution to dry and repeat for a minimum of three coats. 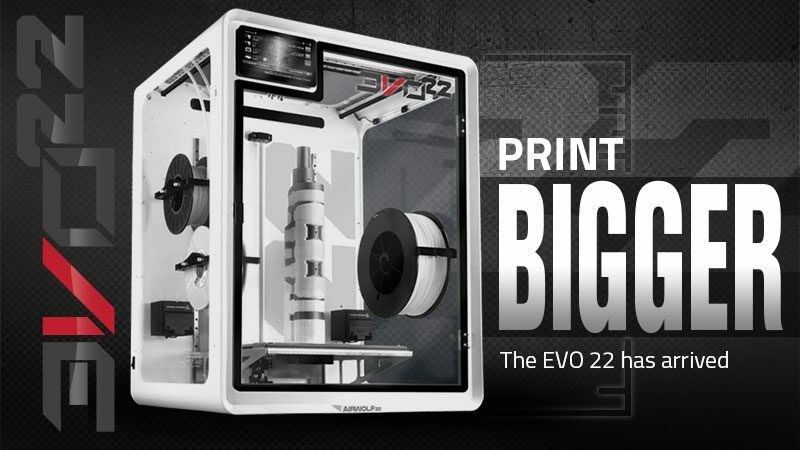 Place glass onto bed and print. To clean glass, rinse with clean water only. 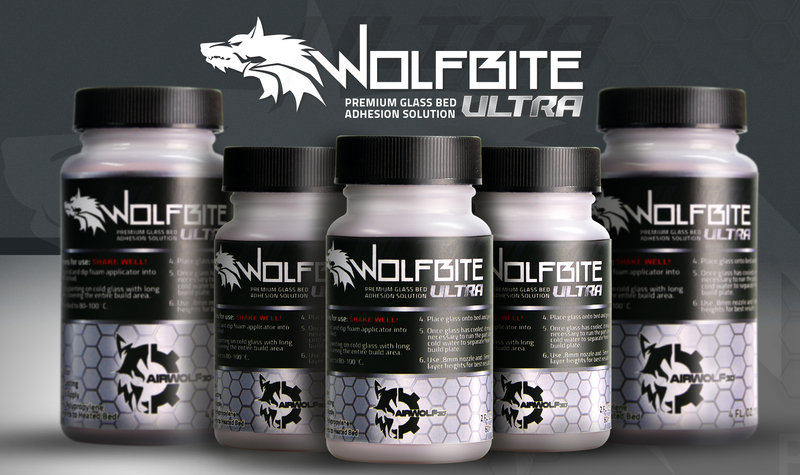 Soap and cleansers will contaminate Wolfbite and result in decreased performance. 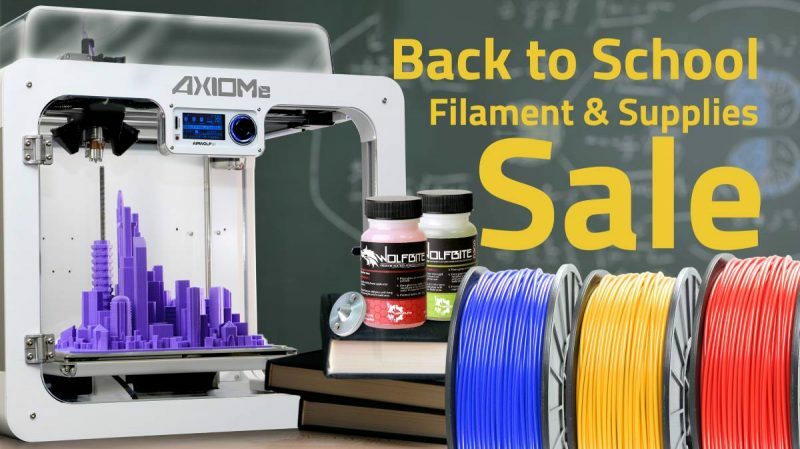 For best results, use .8mm nozzle and .5mm layer heights. To more easily remove ULTRA from glass plate, a razorblade may be used to gently scrape the glass under running water. Please exercise caution.